Nature = essence, as in "the Father, Son, and Holy Spirit all have the Trinitarian 'nature' of God." Person = mode of particular operation, as in "the Son is the third "person" of the Trinity, light from light, true God from true God, begotten not made..."
The Father, Son, Holy Spirit are all co-eternal and co-equal. Wouldn't the Father and the Son need to proceed from the Spirit as well...in order to maintain the triad of equal procession from all three? It seems as though, since the Holy Spirit doesn't have the faculty of bestowing procession upon the Father and the Son, then that gives the Holy Spirit one less faculty than the rest, which in turn subordinates the Holy Spirit to receive procession only. Doesn't this infringe on the Spirit's co-equality? This question derives from my study of the highly...highly...lengthy...drawn out debate concerning the validity of the Filioque. The Holy Ghost is truly Spirit, coming forth from the Father indeed, but not after the manner of the Son, for it is not by Generation but by Procession (since I must coin a word for the sake of clearness); for neither did the Father cease to be Unbegotten because of His begetting something, nor the Son to be begotten because He is of the Unbegotten (how could that be? ), nor is the Spirit changed into Father or Son because He proceeds, or because He is God— though the ungodly do not believe it (Oration 39:12). In contrast, Western Christians had begun using the Latin verb procedere to translate ἐκπορεύομαι and to describe the Holy Spirit's relationship to both the Father and the Son. History shows that some Christians were indifferent to this and others took issue with it. Controversies ensued that I won't go into as you can read the history in more detail elsewhere. The Roman Catholic Church has even officially admitted that the Holy Spirit does not proceed (ἐκπορεύομαι) from the Son, but rather from the Father through the Son, however it maintains the current verbiage of the creed with caveats to explain this distinction (with the exception of Eastern Catholic churches, which it encourages to omit the Filioque). Yes. John 15:26 says that the Holy Spirit proceeds from the Father (ὃ παρὰ τοῦ πατρὸς ἐκπορεύεται / who from the Father proceeds). That the Holy Spirit proceeds from the Father is straight from Jesus' mouth as recorded in Scripture. Jesus didn't say, "and from me." The Filioque makes the Holy Spirit a subordinate member of the Trinity. The procession of the Holy Spirit is now no longer unique to only one Person of the Trinity nor shared by all Persons, thus compromising the co-equality of the Persons of the Trinity. 1 This is evidenced by the Alexandrian fathers' use of προϊέναι and προχεῖσθαι rather than ἐκπορεύεσθαι, as an example. The scriptures describe the Holy Spirit as both the "Spirit of [the] Father" (Matthew 10:20) and the "Spirit of Christ" (Romans 8:9, 1 Peter 1:11) / "Spirit of Jesus" (Acts 16:7) / "Spirit of Jesus Christ" (Philippians 1:9). 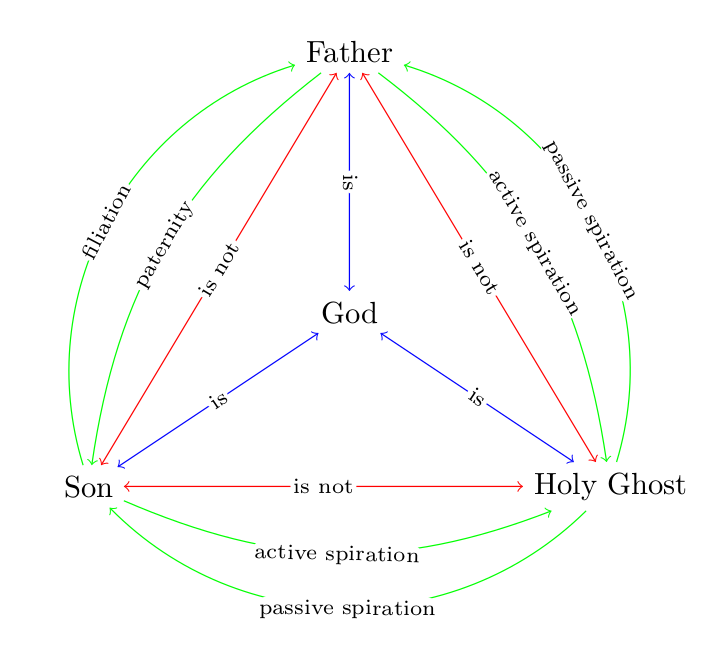 From this, we deduce that the relations of both the Father and the Son to the Holy Spirit are accurately described in Geremia's answer by the term "spiration". The objections advanced against the use of the term "procession" could equally be applied to its reverse relationship of "spiration" - that they should not be so applied should be inferred from the subtext of your question that the co-equality of the Trinity is indeed correct doctrine (which I will omit arguing the case for as it doesn't seem to be at issue). Elsewhere, the nature of the procession of the Holy Spirit is described as from the Father and through the Son. It seems any quibble with the word stems from differences in understanding its meaning and usage. Any problem that the filoque clause presents to the co-equality of the Trinity is miniscule in comparison to that posed by those who oppose it and maintain instead the doctrine of the "Monarchy of the Father" which is a form of Subordinationism; for although the doctrine the filioque represents (procession of the Holy Spirit from the father and the son) was taught by many of the Church Fathers (the wikipedia article lists Tertullian, Jerome, Ambrose, Augustine, Athanasius and Cyril of Alexandria amongst others), the most likely reason for it's first official use in creedal form was to bolster a Trinitarian Christology in order to counter the continued threat (particularly in the West) of Arianism (the declared heretical extreme of Subordinationism) to the Nicene faith (source). The Holy Spirit lacks nothing of the Father and the Son. Just as there is a relation of the Father and Son to the Holy Spirit, called active spiration, so there is also a relation of the Holy Spirit to the Father and the Son, called passive spiration. Notice that for each Person, there are always two "from" relations and two "toward" relations. Thus, no Person has fewer relations than the others have, and it's not like one type of relation is somehow greater than another. Thus, all Persons are co-equal. Also, the divine relations are God's essence. Jesus and the Holy Spirit are not co-equal with the Father. They are subordinate to the Father because they are manifestations of Him. It is unfortunate that there is a propensity amongst men to mistake form for substance. When ye have lifted up the Son of man, then shall ye know that I am he, and that I do nothing of myself; but as my Father hath taught me, I speak these things. When Jesus says of the Comforter, "for he dwelleth with you", he was referring to the Father, since it was the Father in the form of the Son who resided with them for the term of his earthly ministry, and it was the Father in the form of the Son who was comforting them when he said, "Let not your heart be troubled" (John 14:1, John 14:27) and "be of good cheer" (John 16:33). It was the Father in the form of the Son who was flayed and pieced and mocked and nailed to a cross. When Jesus says of the comforter, "he shall be in you", and "I will not leave you comfortless: I will come to you", and again, "I will love him, and will manifest myself to him", it can only be the Father taking on a new form as the Holy Spirit, in order to facilitate a perpetual habitation amongst them -- and all from thence who would choose to follow his commandments. If one were to worship the Son as if he is a different "person" to the Father, then he/she would be an idolater. If one were to worship the Spirit as if he is a different "person" to the Father, then he/she would also be an idolater. If people say anything about the Son or the Spirit beyond what Jesus says himself, then they are perpetuating false doctrine. To understand how the spirit proceeds from "the Son", first you must understand the nature of the Spirit. A fresh perspective may clear this up for you. Consider that originally Adam was made for everlasting life. So prior to the fruit of the knowledge of function and dysfunction. Adam was filled with the Holy Spirit for he also was with God. I consider it Holy because it was approved of by God. What made Adam's spirit unholy was the fruit of the knowledge of Function and Dysfunction. The fruit of the knowledge of Function is Pride. The fruit of the knowledge of Dysfunction is Anxiety. Thus we have arguments. Dysfunction pointed out by the daughters of Eve, and the Function pointed out by the sons of Adam. Now the Spirit of Peace and Comfort was active and unified before the argument. Once the argument starts however the spirit flees. 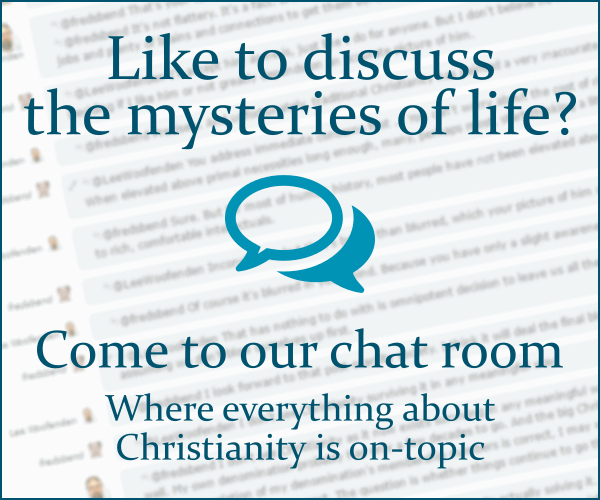 So the answer to our problem of Pride, Anxiety, and the Death that it brings. Is HUMILITY and FAITH. For humility is polar to pride, and faith is polar to anxiety. Conclusion The Spirit of Love has always Existed with God and is God. Procession means "The act of moving forward." Without Humility and Faith, the Holy Spirit was not moving forward (from a certain perspective). Once Jesus did his thing then the Spirit was able to do his thing again. There is only One God. "The Thinker(Father) that Said(Son) and Felt Love(Holy Spirit) from the beginning that came in flesh(Son) died, and rose again(Thinker thought of himself again)." Note: So realize the question about the Spirit's co-equality. Is like asking me "Do you feel that your joy is as important as your thought? Or did the joy come from the thought? Or did the thought come from the joy? Or would you conclude that Joy is not as important as thinking? Or is what you say more important then your joy? Answer: They are all important because they are His!